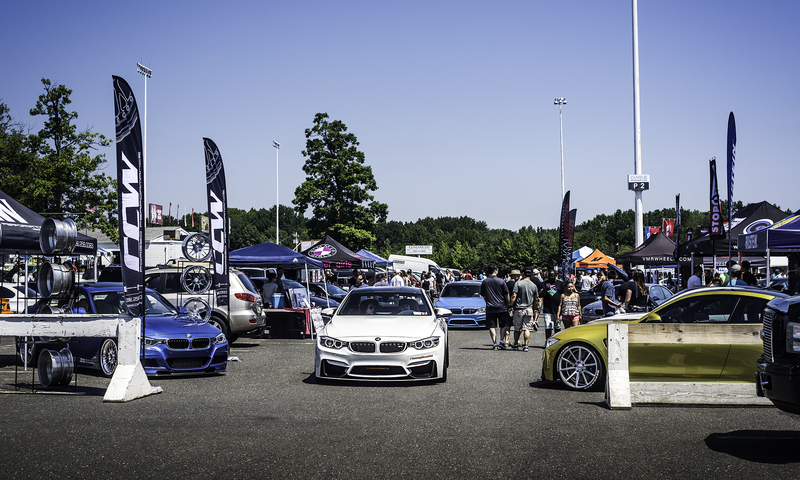 Bimmerfest is the largest BMW car show in North America. 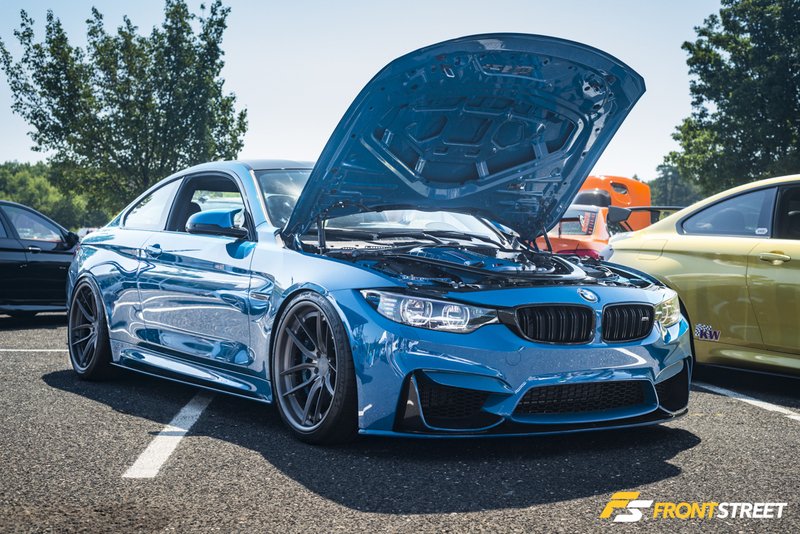 East and West coast locations allow the thousands of attendees on either side of the United States to celebrate the Bavarian automaker. 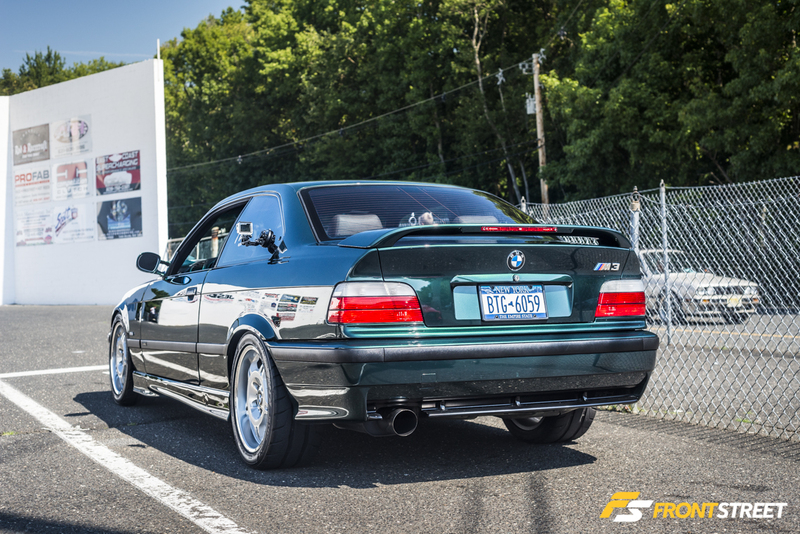 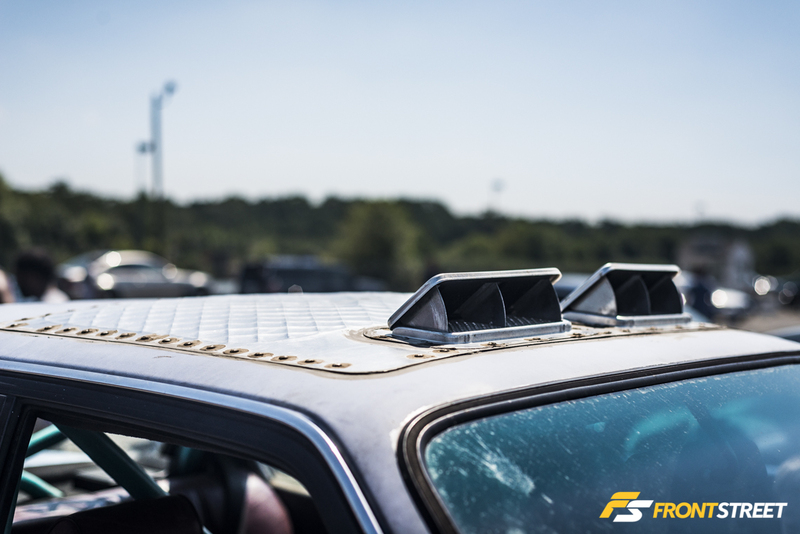 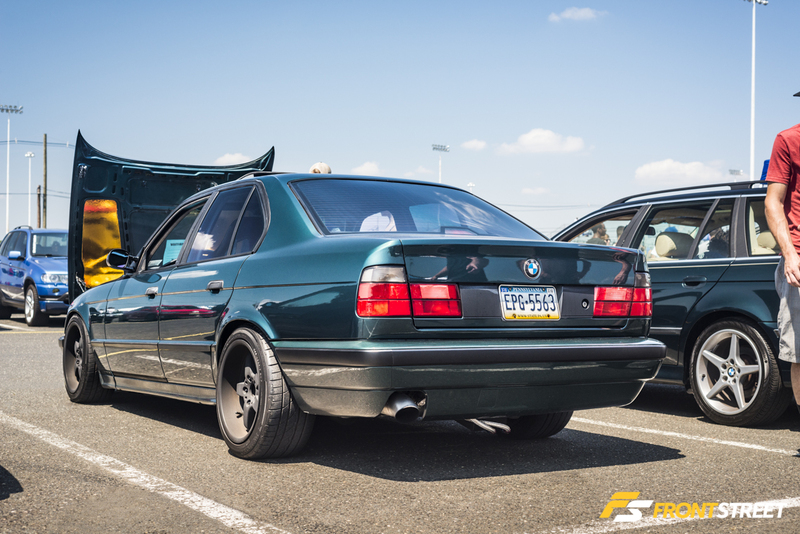 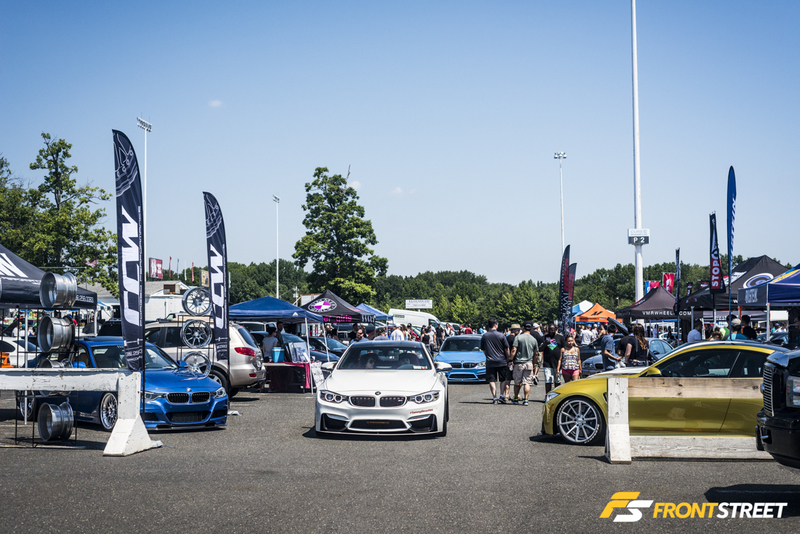 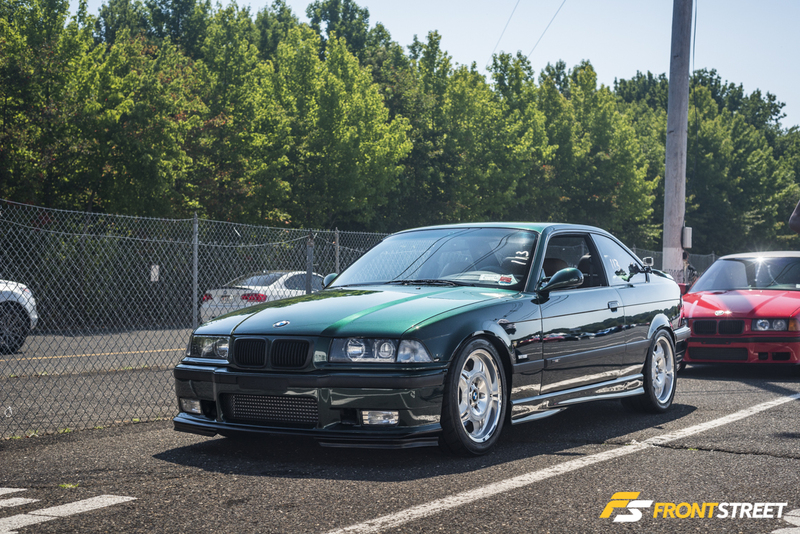 For its fifth year, Bimmerfest East changed their event location to Old Bridge Township Raceway Park in Englishtown, NJ. 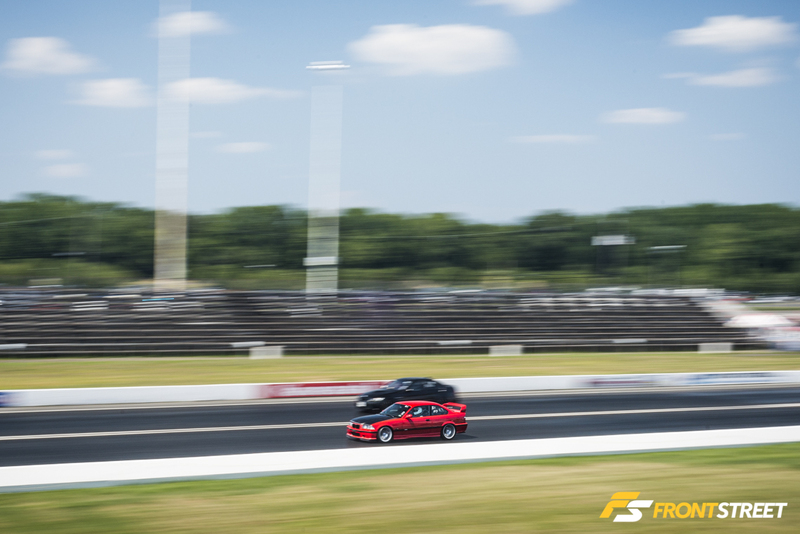 The switch in venue incorporated new types of racing compared to previous years, including drag racing and autocross. 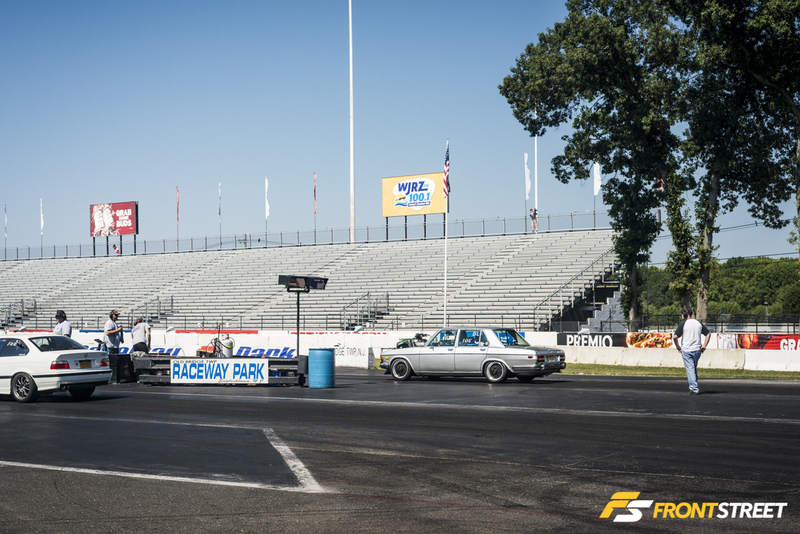 The drag racing got started early in the morning, with cars lining up in the staging lanes before the gates were even open to the public. 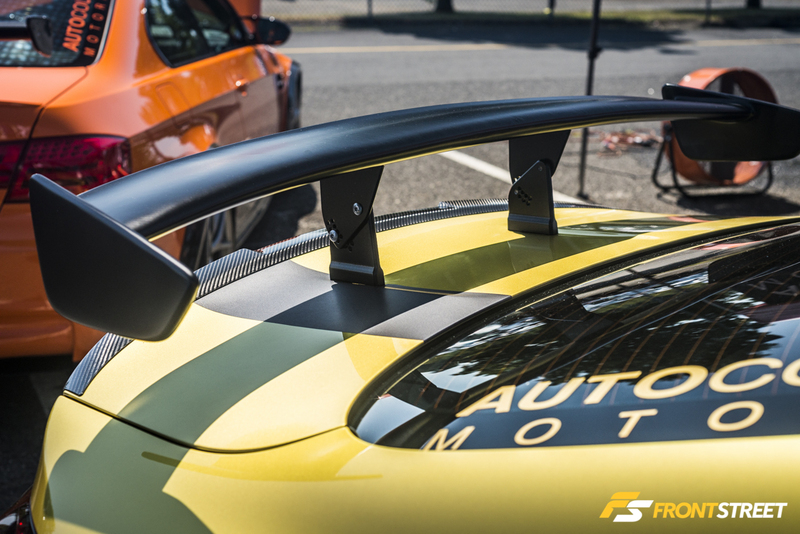 AUTOcouture Motoring had an extensive collection of new M cars on display at their booth. 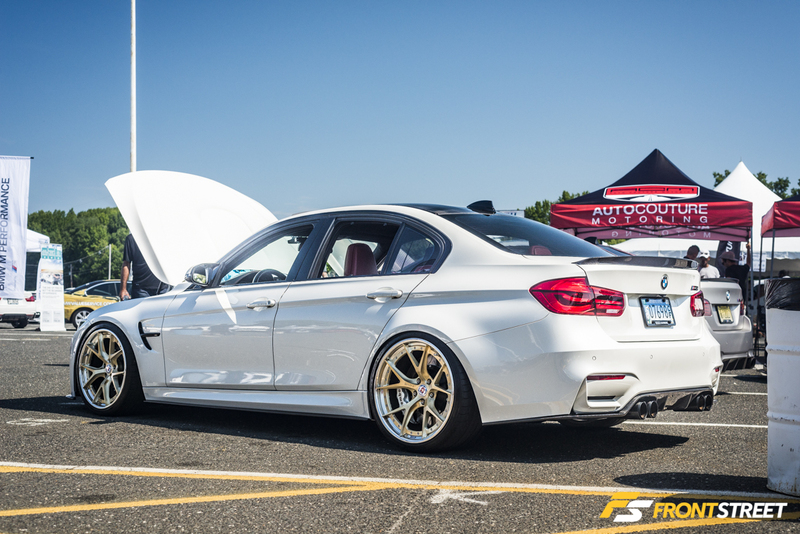 This F80 M3 with HRE S101 wheels in a gold finish began their lineup of neatly modified cars. 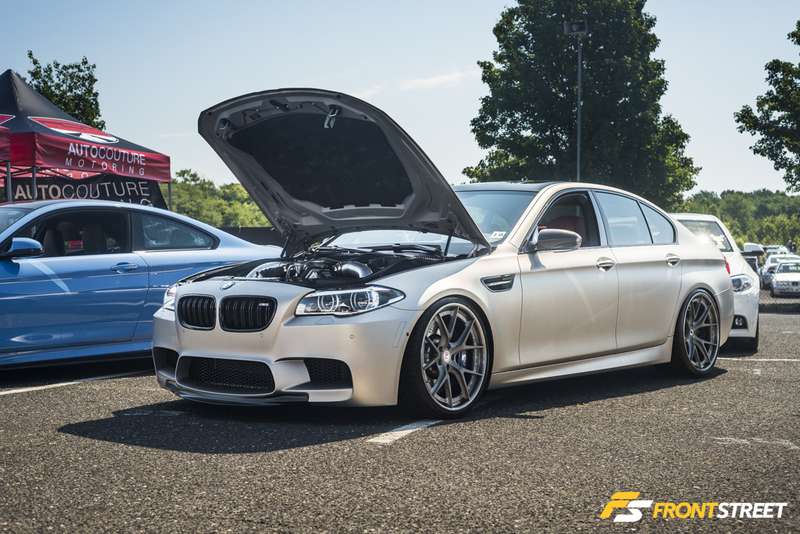 Also on HRE S101 wheels, this F10 M5 sported the new Frozen Cashmere Silver paint. 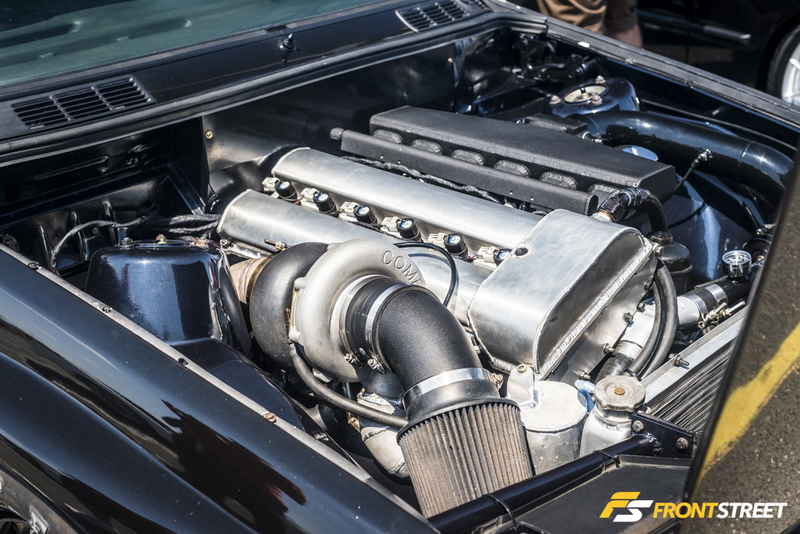 Notice the custom Meth injection routed into the intake piping. 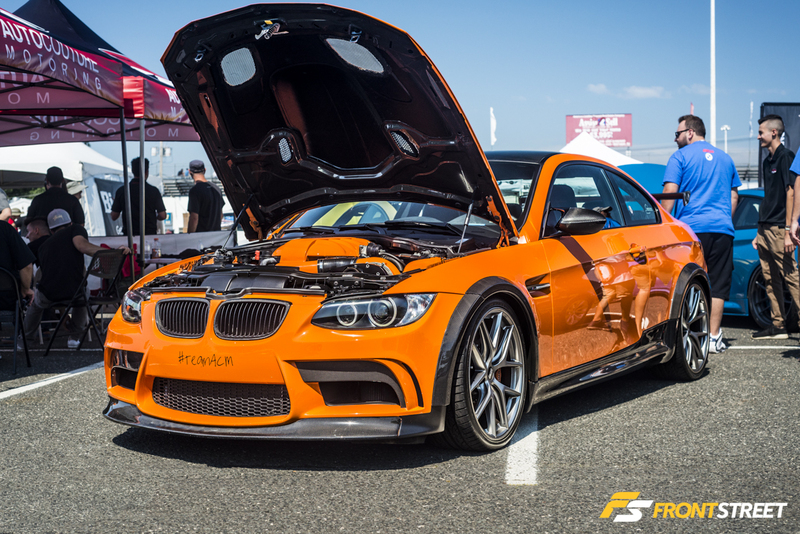 The Lime Rock Edition E92 M3 had a limited production of 200 cars all painted in this Fire Orange. 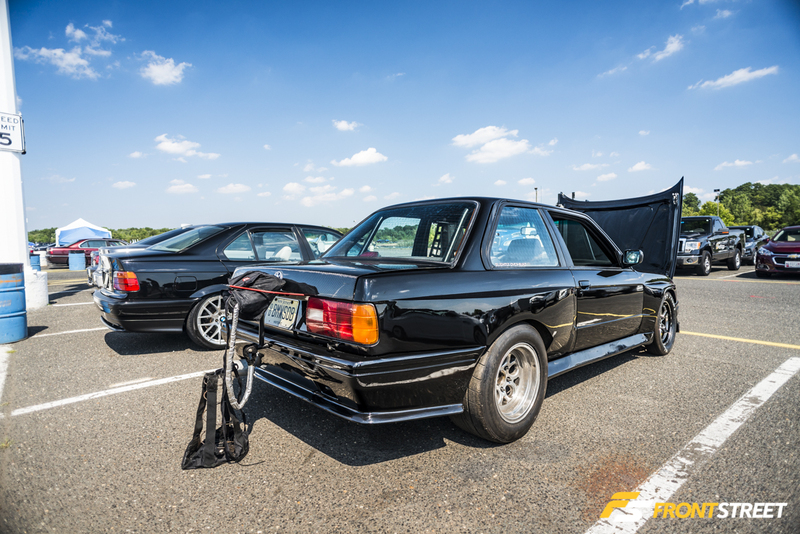 Very few of these rare cars have been modified, let alone wear the Manhart Racing carbon fiber kit. 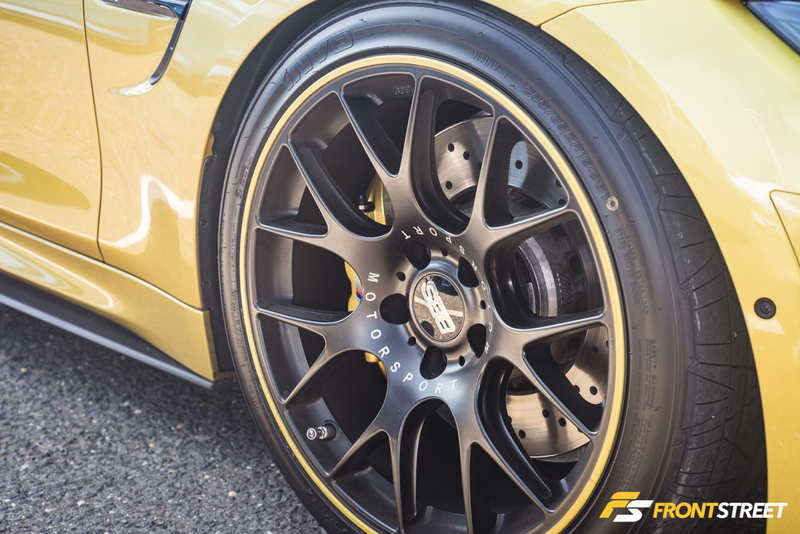 The cast BBS CI wheels complete the exterior, while the ESS Tuning kit which uses a Vortech supercharger gives the engine more power. 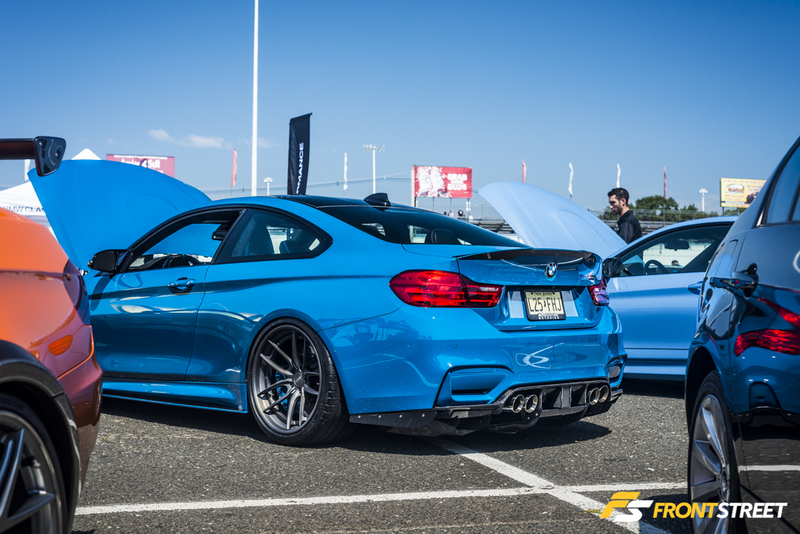 This Laguna Seca Blue F82 M4 was equipped with a set of gunmetal BLK 503GTR wheels. 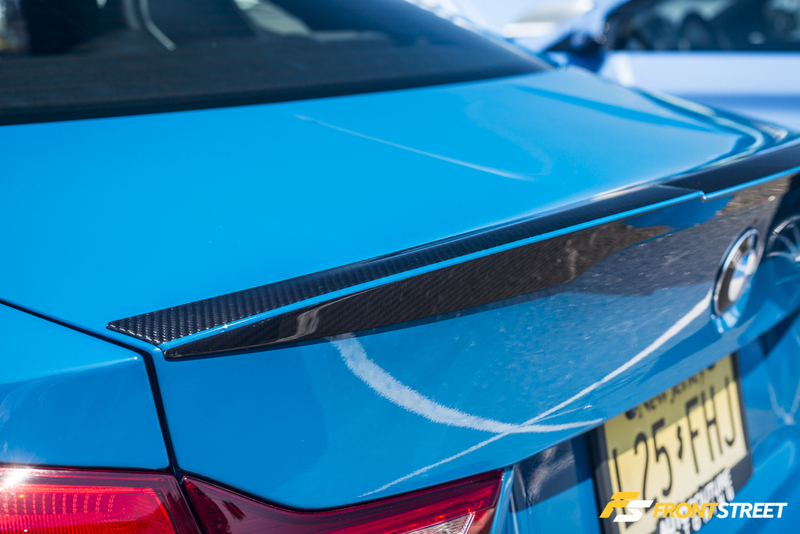 The Mode Carbon wing was painted with a small pinstripe to accentuate the dimensions of the piece. 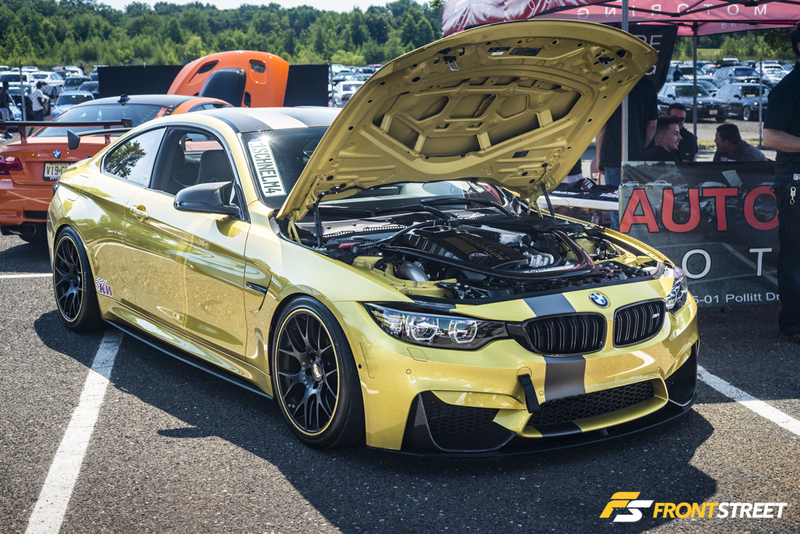 This Austin Yellow M4 had a full M-Performance front aero set up with a GTS wing mounted on the trunk. 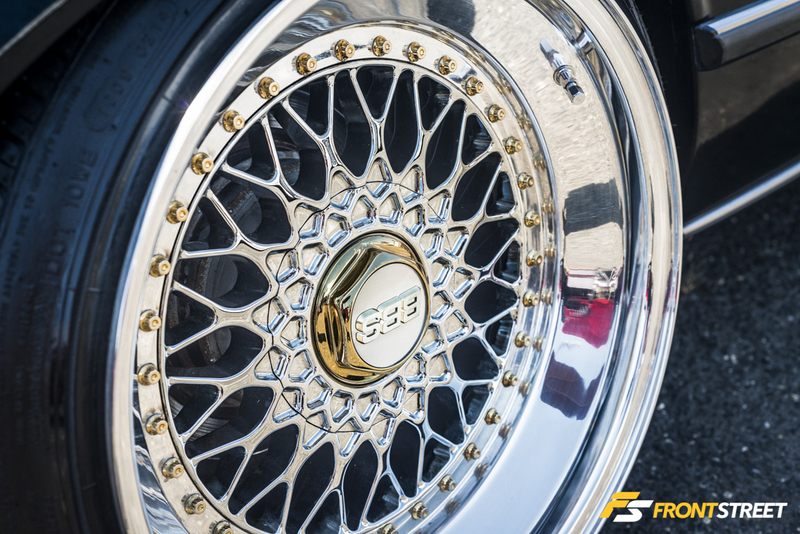 The exterior paint was carried through onto the brake calipers, and the lips of the BBS CH-R wheels. 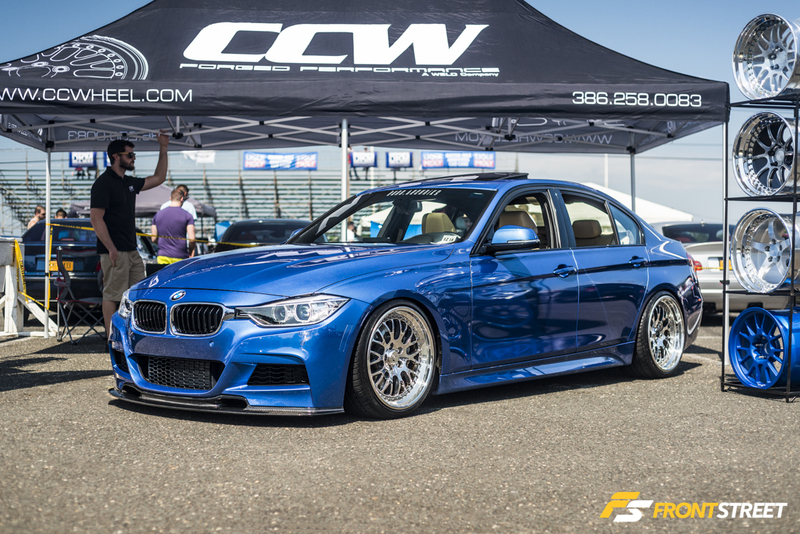 The CCW wheels booth housed this Estoril Blue F30 3-series with their SP2K Hybrid wheels. 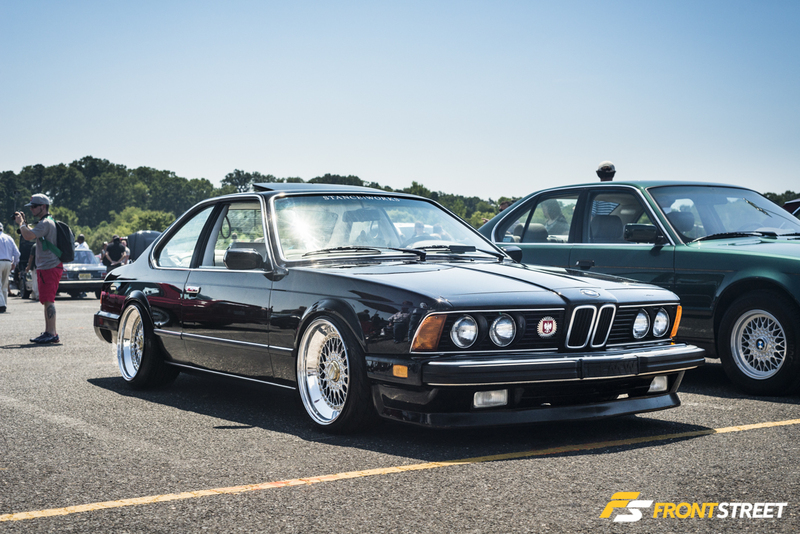 This classy E24 635CSI was a favorite with its spotless black paint and bright chrome stepped lip BBS RS wheels. 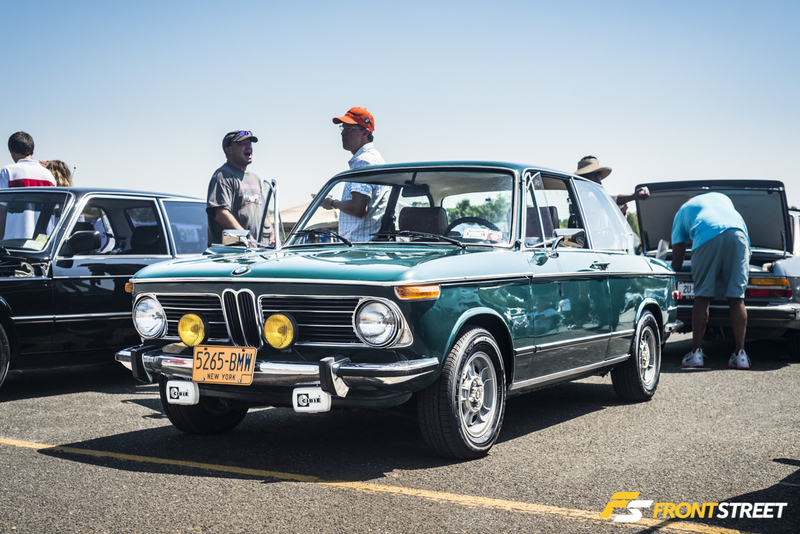 Vintage BMWs could be spotted throughout the show, with several BMW 2002 cars in attendance. 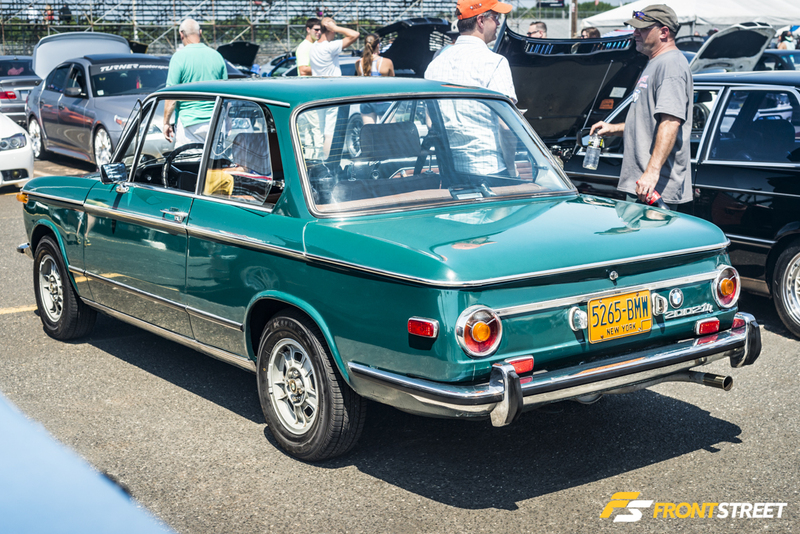 This particular example had its original paperwork on display inside the elegant original vinyl interior. 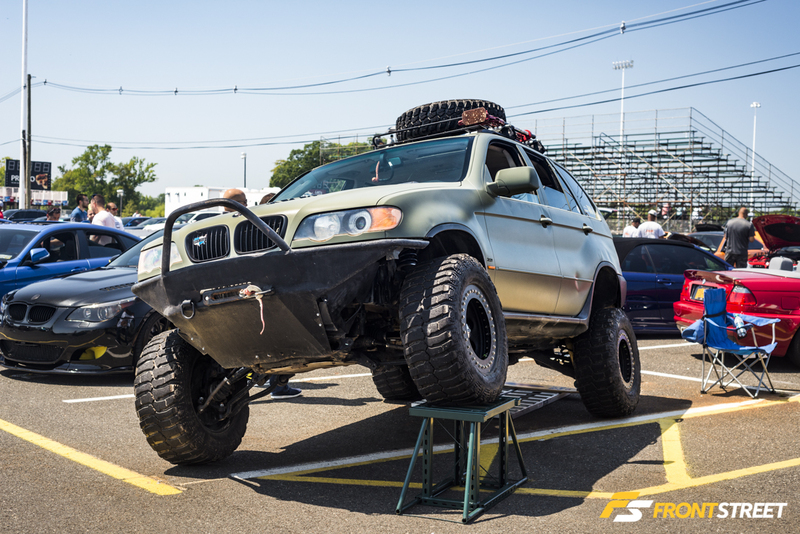 Catching the attention of any spectator in the vicinity was this wild off-road X5 parked in the car show. 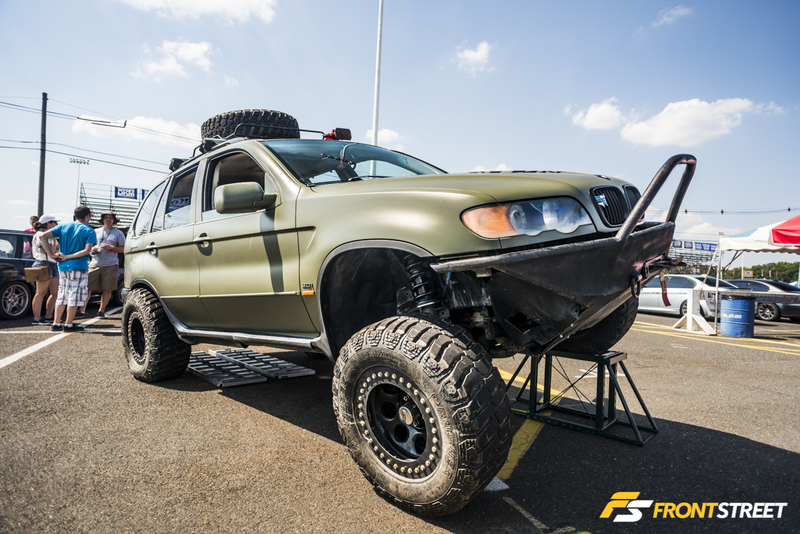 Flexing its lifted suspension with Cragar Soft 8 off-road wheels and Cepek Crusher tires. 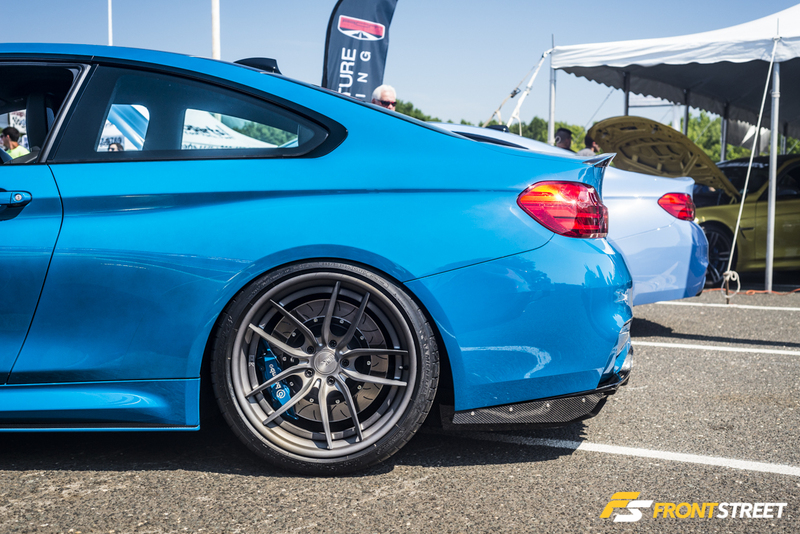 This bagged F30 had custom red projectors in the headlights and rose gold coated Work Meister S1 wheels. 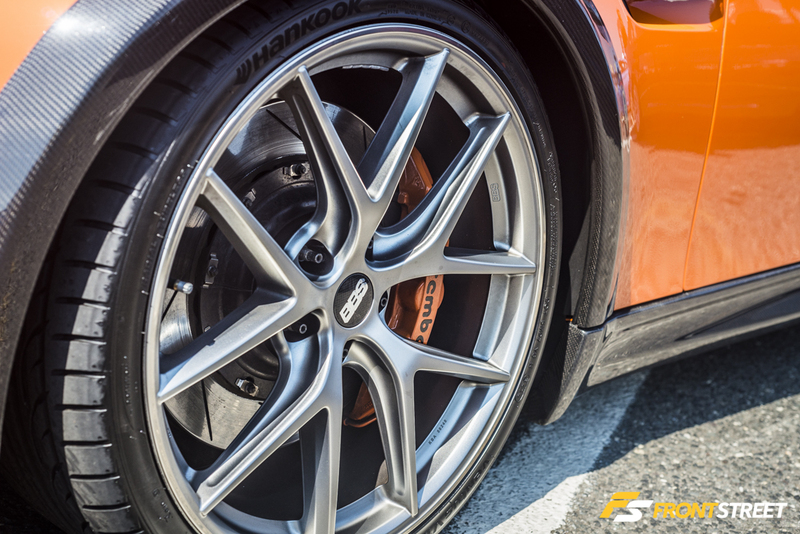 With the suspension fully lowered, the body of the car sat between the bead of the tire and the edge of the wheel. 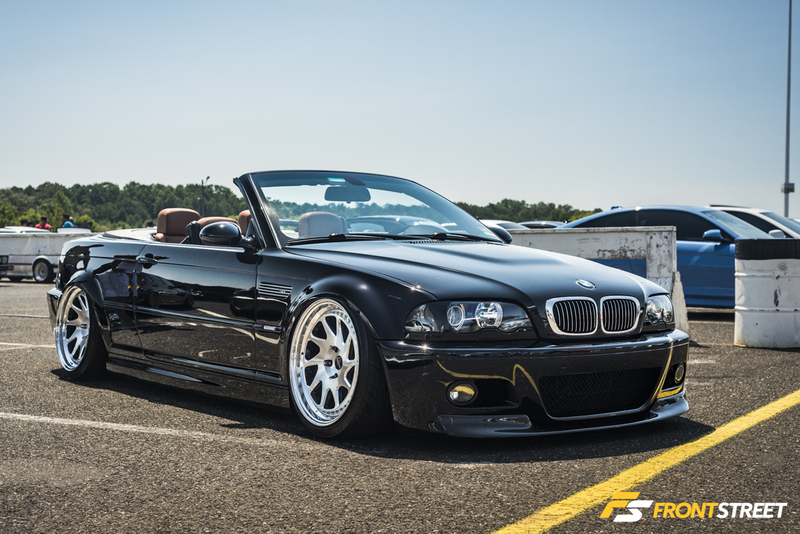 The class of this E46 M3 convertible showed that subtle upgrades are always better than flashy alternatives. 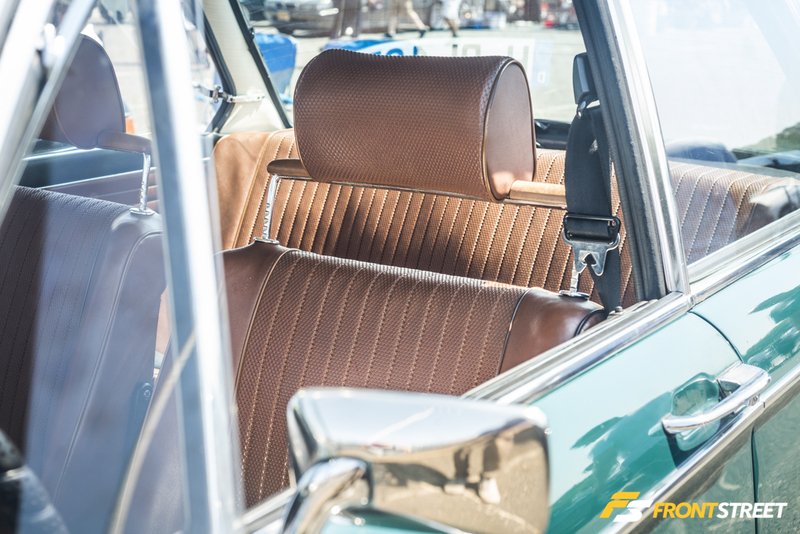 The interior was reupholstered in the perfect shade of brown to contrast the rich black paint of the exterior. 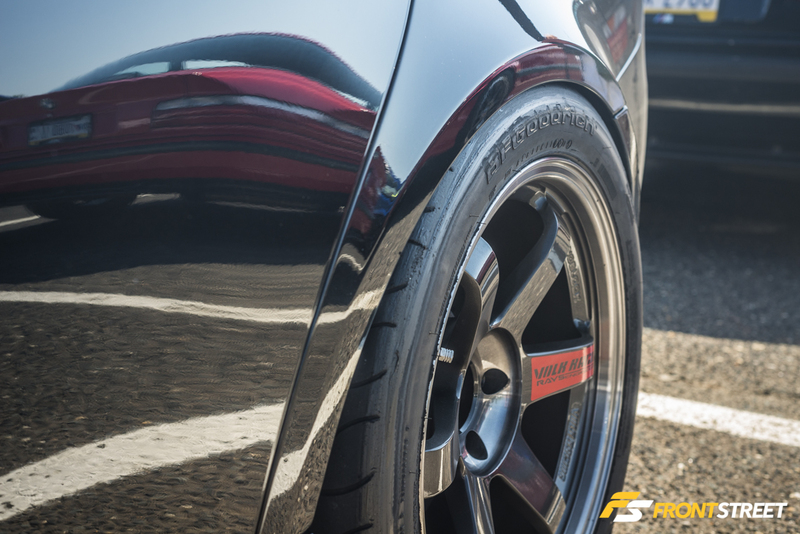 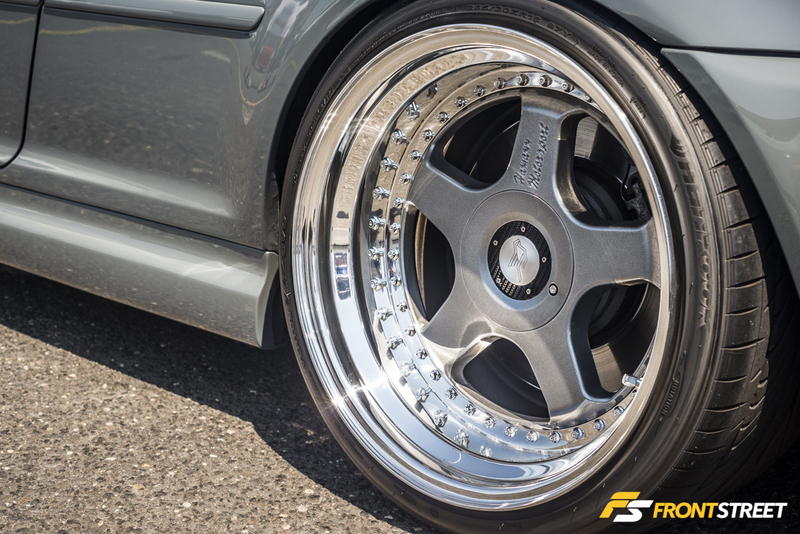 The Rotiform OZT wheels gave this reserved model an aggressive stance. 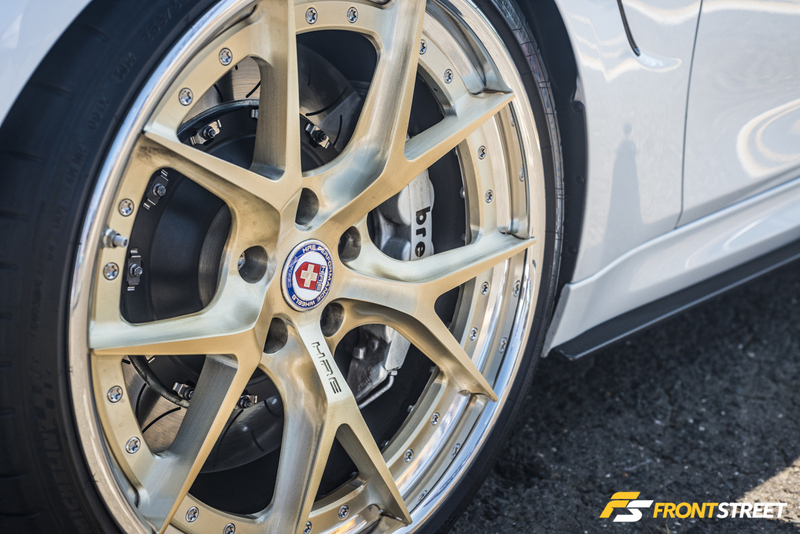 Grigio Medio paint is normally found on rare Ferrari 458 supercars, but the color fits this E46 M3 chassis with Hamann Motorsport wheels. 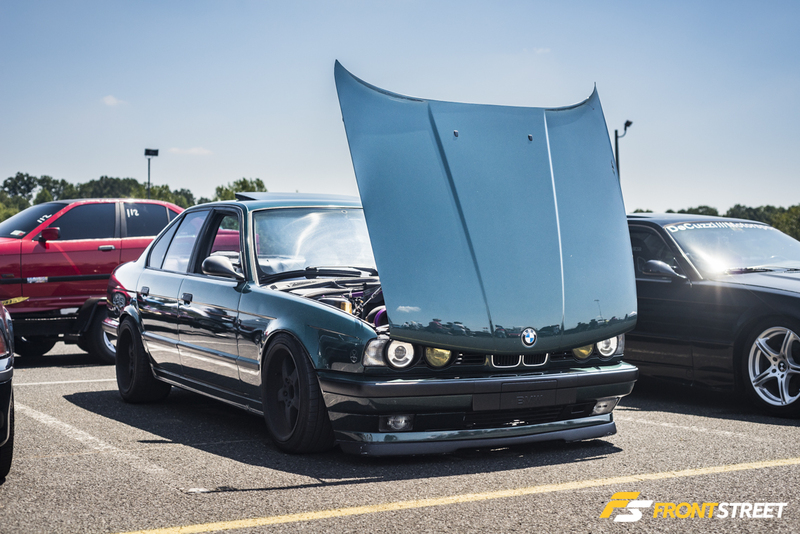 This inconspicuous E34 5-series would have been easy to walk by, if it hadn’t been for the purple velocity stack behind the open hood. 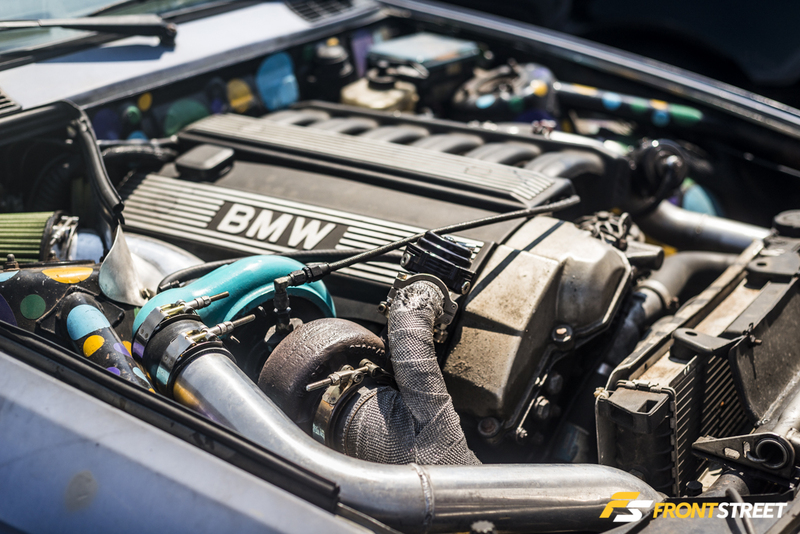 The turbocharged M50 motor has had extensive work done. 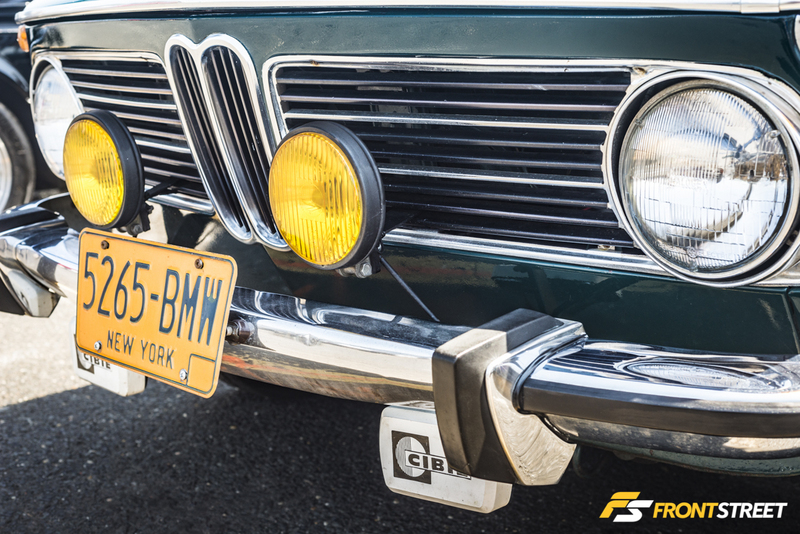 Notice the Wiggins clamps on all applicable connections. 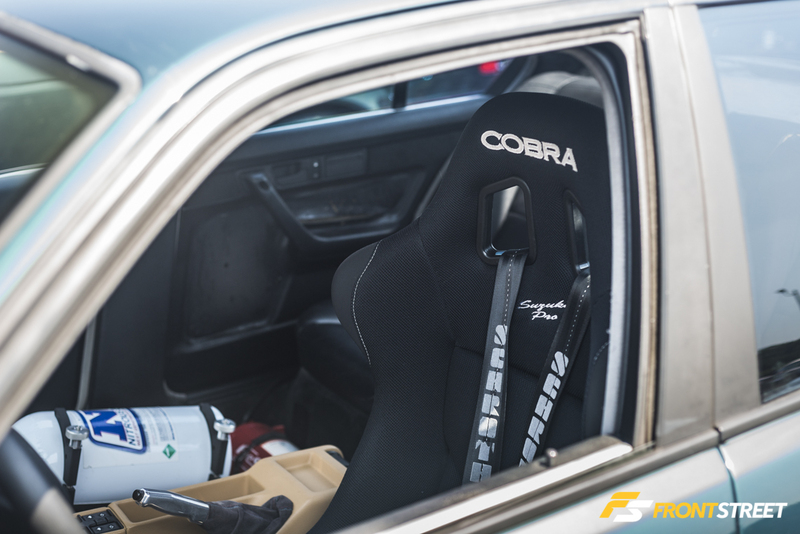 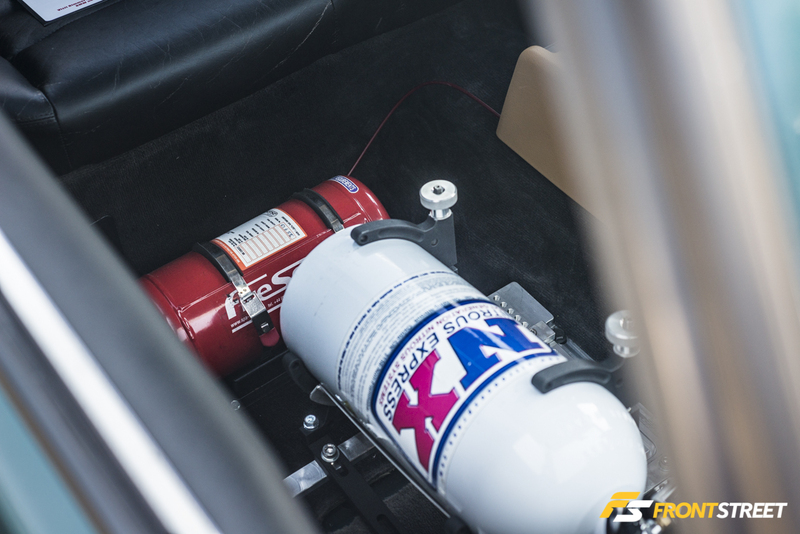 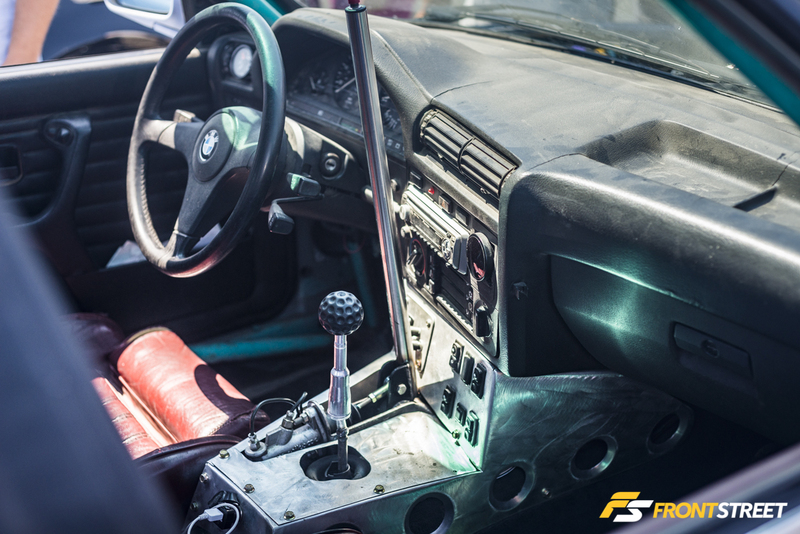 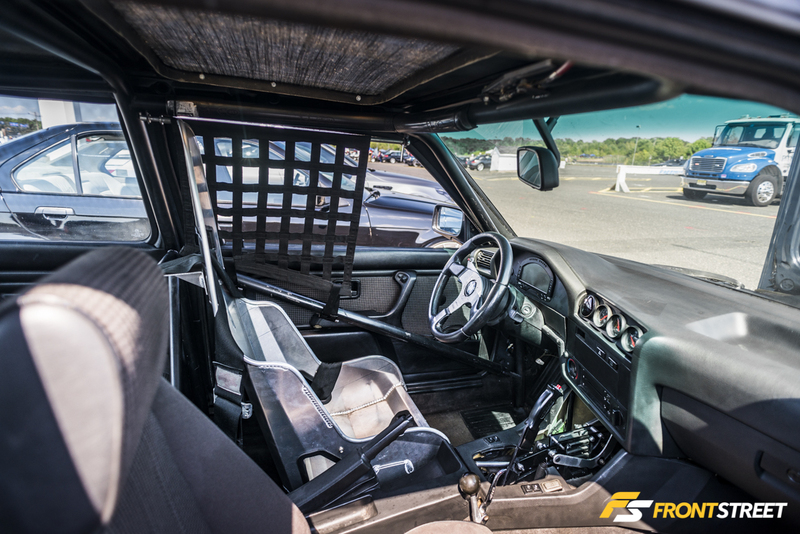 The passenger seat has been sacrificed in place of a Nitrous Express nitrous tank and fire suppression system. 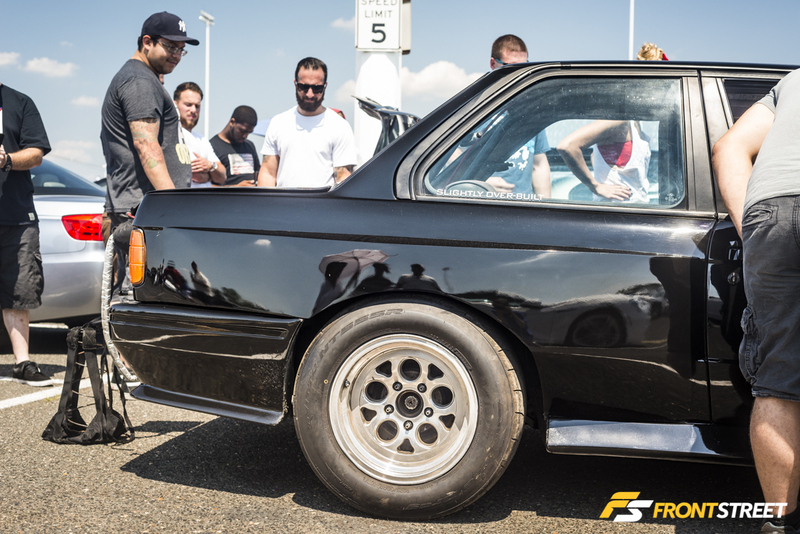 Row after row of the same subtle and low BMWs made this lifted turbocharged E30 memorable. 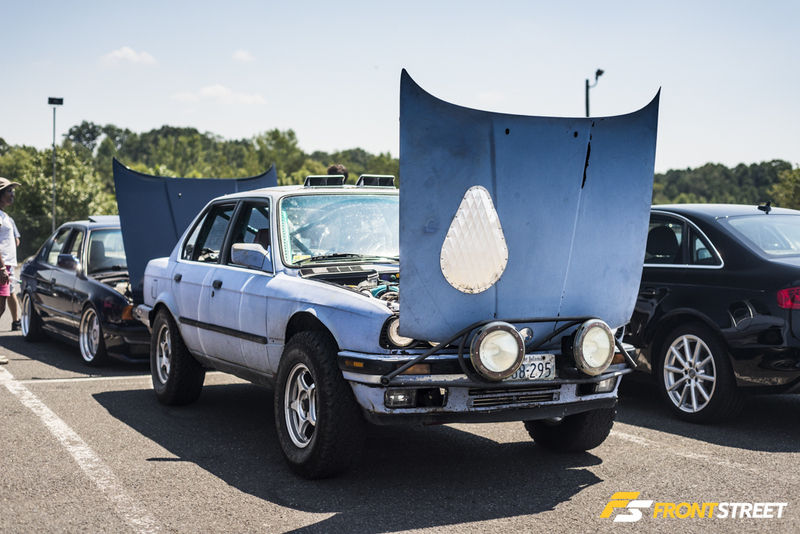 While some of the questionable tweaks might not win any shows, they must help this car compete in SCCA Rallycross events. 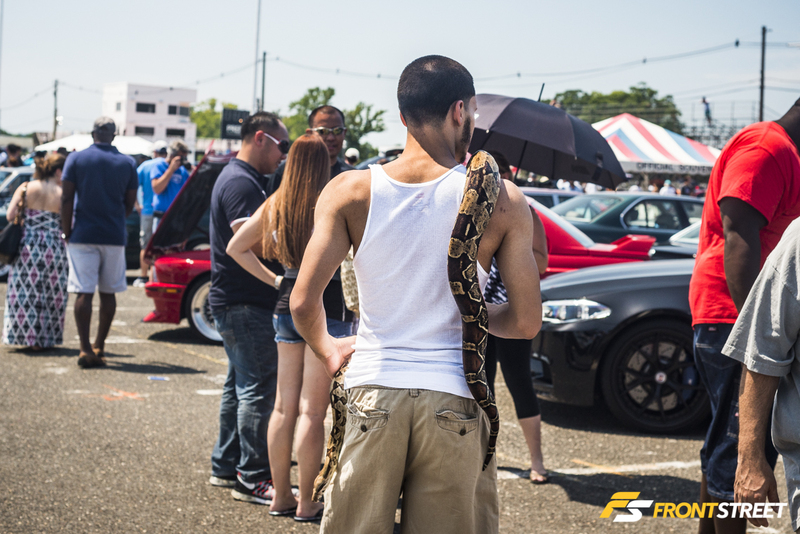 The new venue had a strict no pet policy that was enforced during this show, but this must have slipped through the cracks somehow. 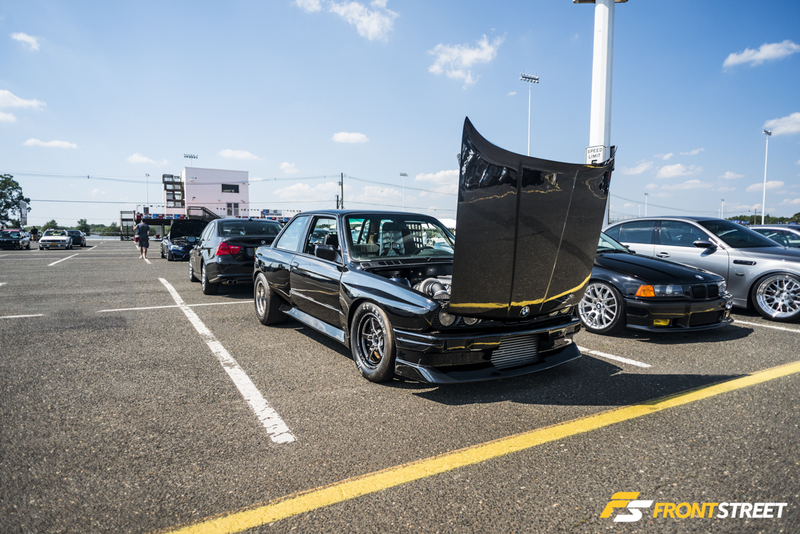 Bimmers are used in a plethora of racing series, but not normally built for drag racing like this E30 coupe. 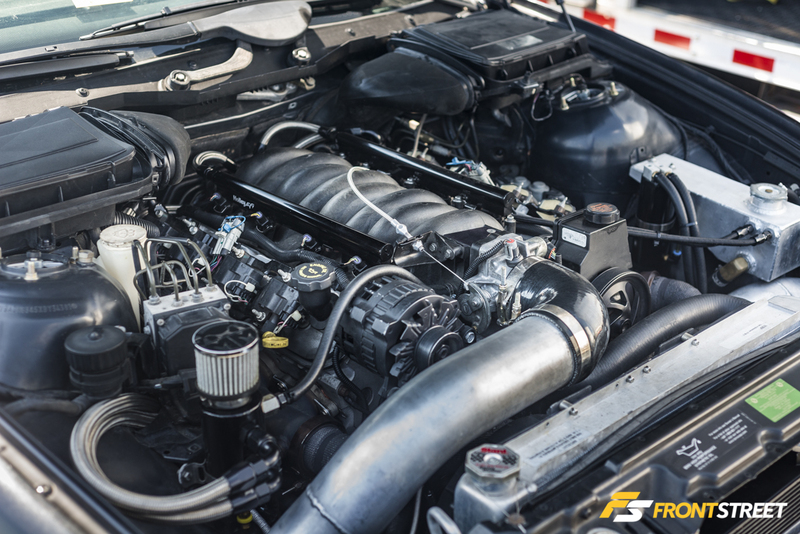 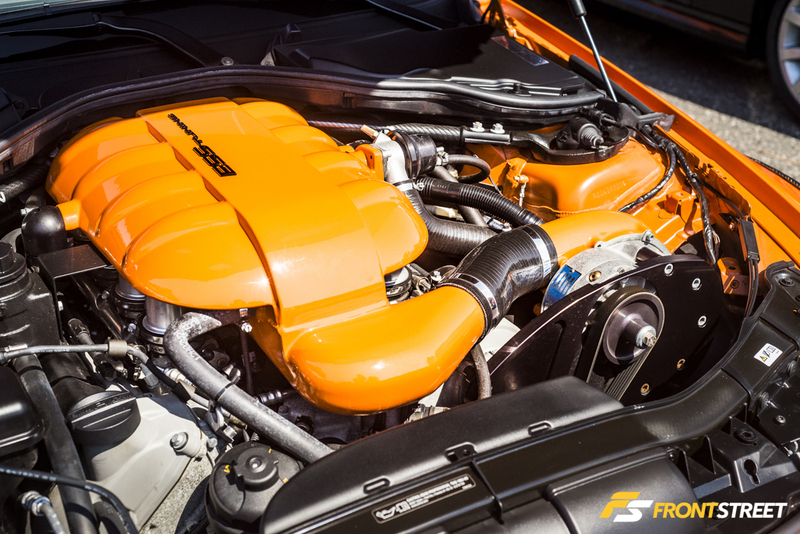 The pulled parachute and impressive engine bay show that this car is capable of a trap speed over 150mph in a ¼ mile. 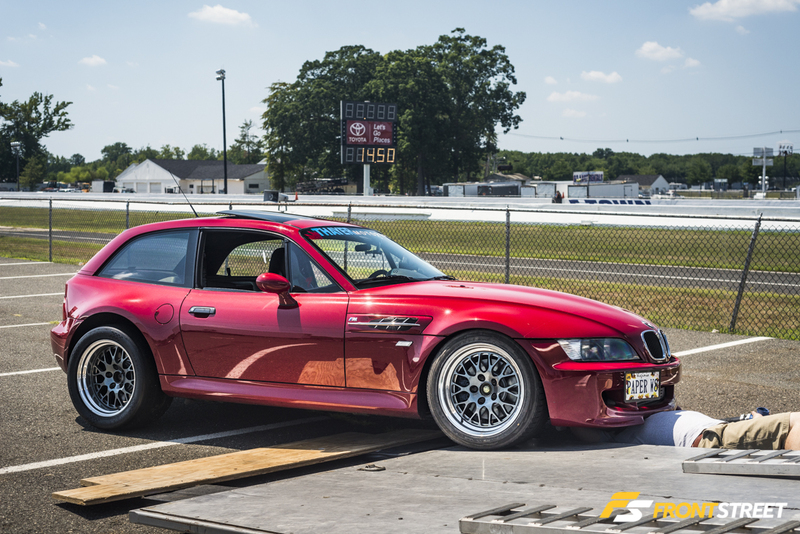 This M Coupe from Thayer Motorsports surprised everyone watching the drag racing, when it ran a mid 11-second pass down the dragstrip. 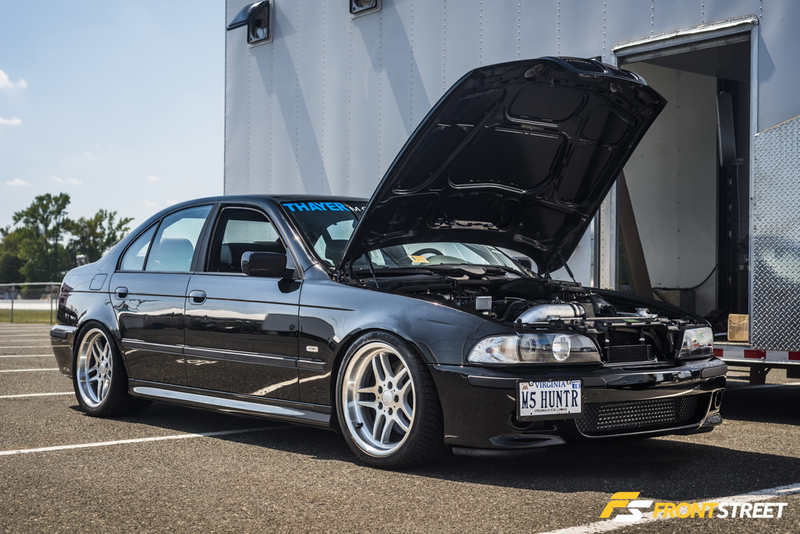 From the same Thayer Motorsports trailer, this E39 5-series had the hood opened and a license plate reading “M5 HUNTR”. 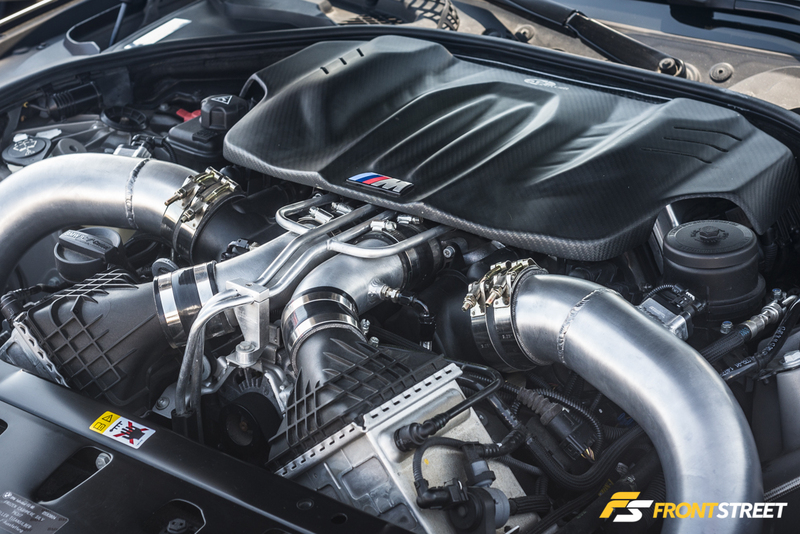 With a turbocharged LS engine powering the car, let the M5 hunting begin! 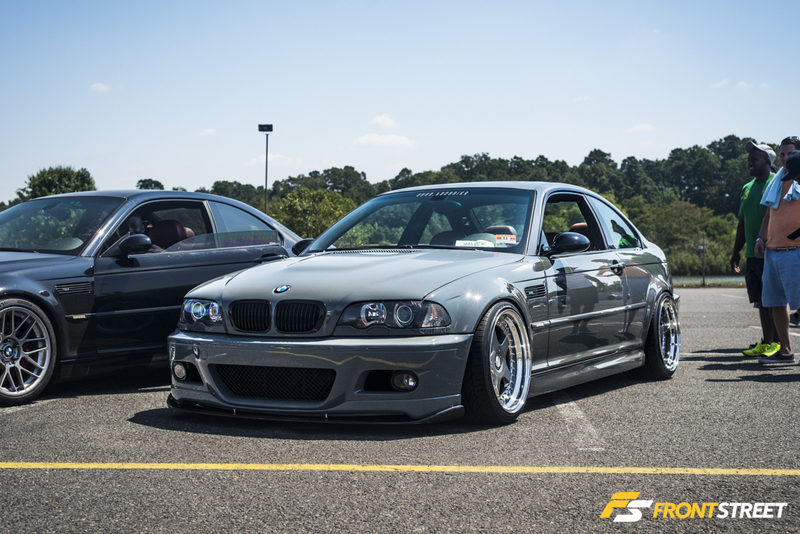 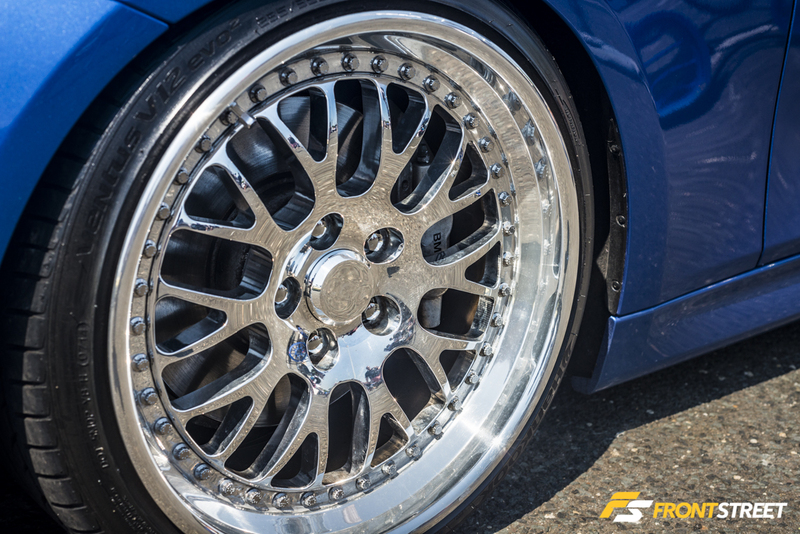 On the opposite end of the spectrum, this E46 on Gotti wheels illustrated the new trend taking over car shows. 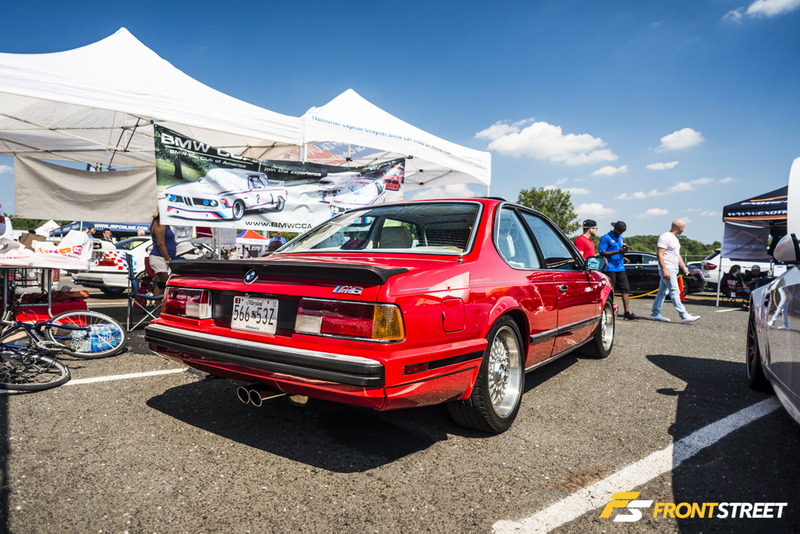 The use of excessive camber and large rear spoilers may not be for everyone, but this car drew a crowd all day. 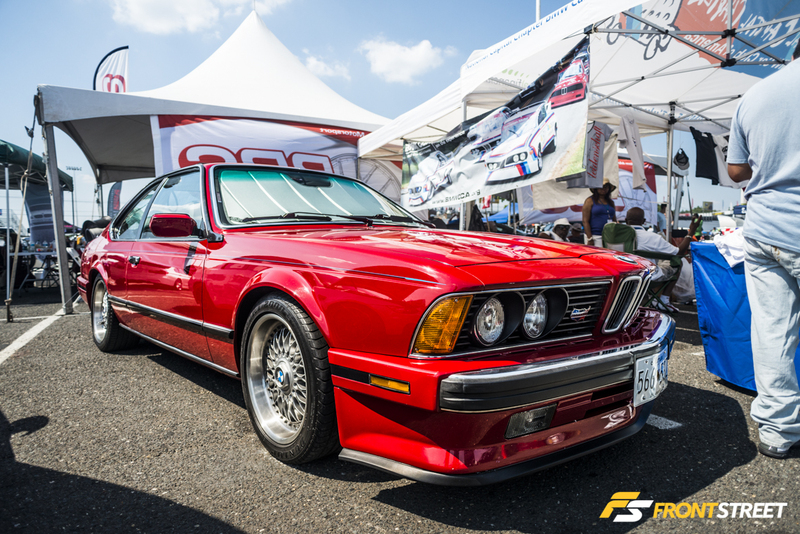 Rounding out our coverage is this pristine E24 M6 at the BMW Car Club of America booth.